Download "Inside Earth: Layers of the Earth"
2 Introduction From outside to inside, Earth is divided into crust, mantle, and core. Each has a different chemical makeup. Earth can also be divided into layers with different properties. The two most important are lithosphere and asthenosphere. How Do We Know About Earth s Interior? If someone told you to figure out what is inside Earth, what would you do? How could you figure out what is inside our planet? How do scientists figure it out? They use the information given to them by Earthquakes and meteorites. Seismic Waves makes up the Earth s interior. Scientists called Seismologists (a type of geologist who studies earthquakes) study earthquake waves to see Earth's interior. Waves of energy spread out from an earthquake s center. These are called seismic waves (Figure to left). Seismic waves change speed as they move through different materials. This causes them to bend. Some seismic waves do not travel through liquids or gases. Scientists use all of this information to understand what The properties of seismic waves allow scientists to understand the composition of Earth's interior. Meteorites Scientists study meteorites to learn about Earth s interior. Meteorites formed in the early solar system. These objects represent early solar system materials. Some meteorites are made of iron and nickel. They are thought to be very similar to Earth's The Willamette Meteorite is a metallic meteorite that was found in Oregon. 4 is thickest beneath mountain ranges and extends into the mantle. Both of these crust types are composed of numerous tectonic plates that float on top of the mantle. Convection currents within the mantle cause these plates to move slowly across the asthenosphere. The Mantle Beneath the crust is the mantle. The mantle is made of hot, solid rock. Although the mantle is solid, it is often considered a semi-plastic solid because it slowly moves by the process of convection currents. Through the process of conduction, heat flows from warmer objects to cooler objects (Figure to right). The lower mantle is heated directly by conduction from the core. In the process of conduction, heat flows from warmer objects to cooler objects. Convection in the Mantle Hot lower mantle material rises upwards (Figure below). As it rises, it cools. At the top of the mantle it moves horizontally. Over time it becomes cool and dense enough that it sinks. Back at the bottom of the mantle, it travels horizontally. Eventually the material gets to the location where warm mantle material is rising. The rising and sinking of warm and cooler material creates a convection cell. The rising and sinking of mantle material of different temperatures and densities creates a convection cell. The Core The dense, iron core forms the center of the Earth. The core is a layer rich in iron and nickel that is composed of two layers: the inner and outer cores. The inner core is theorized to be solid and very dense with a radius of about 1220 kilometers. The inner core is extremely hot and solid because of the tremendous pressure it is under from all of the other layers pushing down above it and gravity pulling all of Earth s mass towards the center. The outer core is liquid nickel and iron. 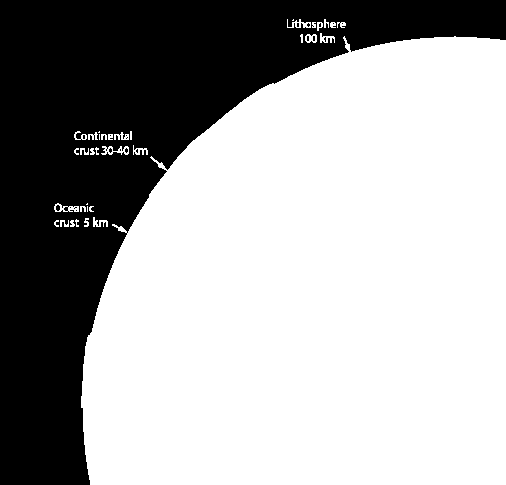 It is also extremely hot and surrounds the inner core and has an average thickness of about 2250 kilometers. 5 Scientists know that the core is metal from studying metallic meteorites and the Earth s density. Seismic waves show that the outer core is liquid, while the inner core is solid. Movement within Earth's outer liquid iron core creates Earth s magnetic field. These convection currents form in the outer core because the base of the outer core is heated by the even hotter inner core. 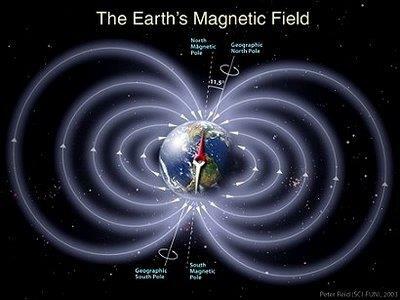 Earth s magnetic field is created from the movements of liquid metal in the Earth s outer core. Lithosphere and Asthenosphere Lithosphere and asthenosphere are layers based on physical properties. The outermost layer is the lithosphere. The lithosphere is the crust and the uppermost mantle. In terms of physical properties, this layer is rigid, solid, and brittle. It is easily cracked or broken. The lithosphere is also the zone of earthquakes, mountain building, volcanoes, and continental drift. Below the lithosphere is the asthenosphere. The asthenosphere is also in the upper mantle. This layer is solid, but it can flow and bend. A solid that can flow is like silly putty (semi-plastic). Lesson Summary The Earth is made of three layers with different composition: the crust, mantle, and core. The lithosphere is made of the rigid, brittle, solid crust and uppermost mantle. Beneath the lithosphere, the asthenosphere is solid rock that can flow. The hot core warms the base of the mantle, which creates convection currents in the mantle. Lesson Review Questions Recall 1. List two ways that scientists learn about what makes up the Earth s interior. 2. What type of rock makes up the oceanic crust? 3. What types of rock make up the continental crust? 4. Describe convection in Earth s mantle. 6 5. Why are there two types of core? 6. Describe the properties of the lithosphere and asthenosphere. What parts of the Earth do these layers include? Planet Earth in Cross Section By Michael Osborn Fayetteville-Manlius HS Objectives Devise a model of the layers of the Earth to scale. Background Planet Earth is organized into layers of varying thickness. A R C T I C LER Grades K+ Explore the Earth inside and out!